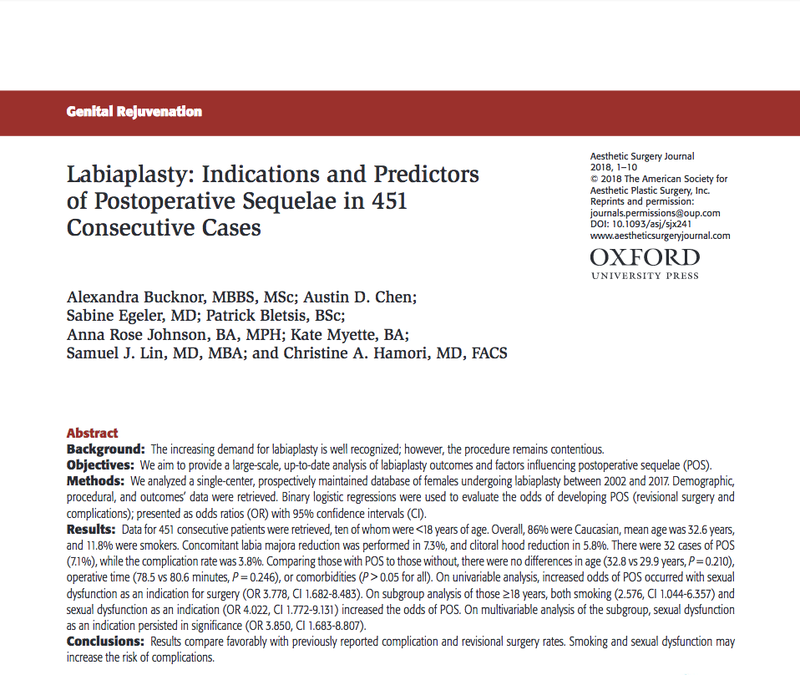 Dr. Hamori is a co-author in the recently published large scale study of labiaplasty surgeries and outcomes. 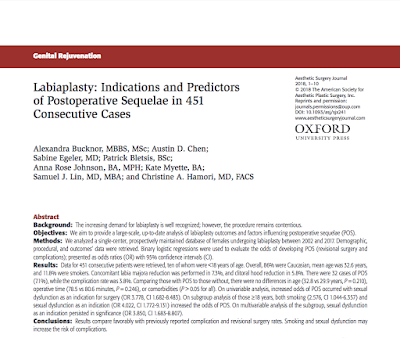 Published in the Aesthetic Surgery Journal January 9, 2018, the article is Labiaplasty: Indications and Predictors of Postoperative Sequelae in 451 Consecutive Cases. 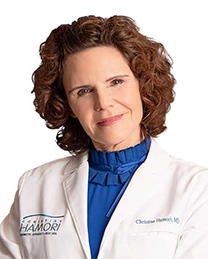 To access an abstract of the article, click here.